Click on the Add (+) button below the accounts pane. Under Account Information you will enter your new account settings. 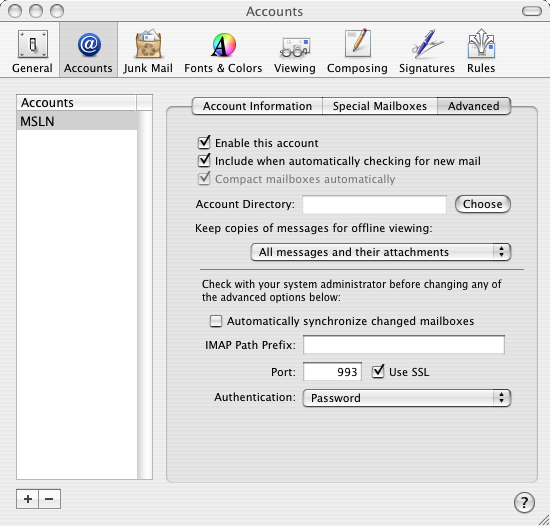 You should set the account type as "IMAP" and the Incoming Mail Server as mail.msln.net. For your Full Name you should enter your name as you wish others to see it, be sure to use proper capitalization. 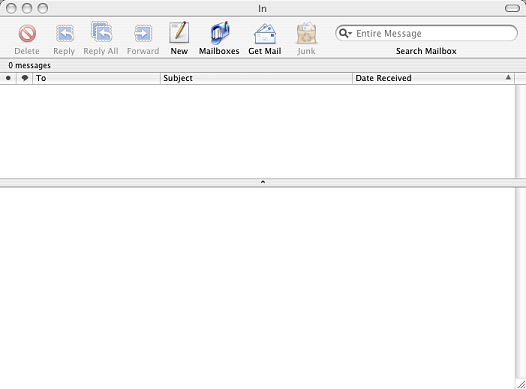 Enter the email address and username for the account. 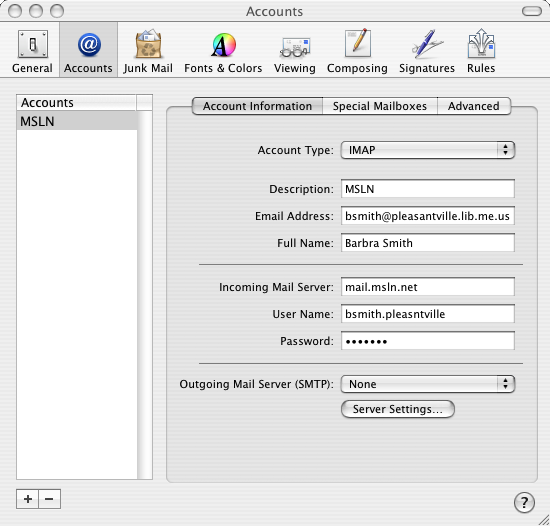 For your outgoing mail server enter "mail.msln.net". Place a check in "Use Secure Sockets Layer (SSL)" and set "Authentication" to "Password" and enter in your MSLN mail username and password again, then click "OK". 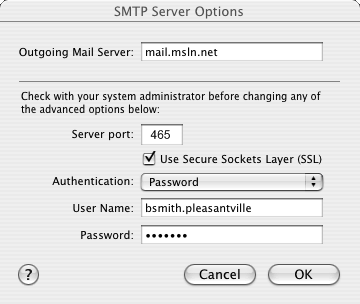 Add a check in the "Use SSL" checkbox.